• 5,200 ac farm with 5 miles river frontage on Spanish Creek: only 20 miles west of int’l airport, subdivided into 96 well-planned sections, with good infrastructure, roads, wells, barn, residence, etc. Will sell all or in sections, $1500 to $3000 per acre. On the green page heading above, click on the “Real Estate Listings” to view some of our current offerings. Then you can narrow your search by clicking the smaller heading, “Agricultural land”. Things change quickly, let us know what you need! 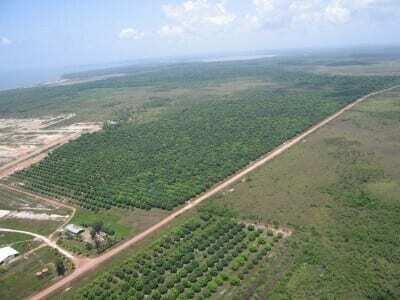 Where else but in tropical Belize can one operate a profitable, productive agricultural operation adjacent to resort-quality Caribbean beaches? Seven billion people now populate our planet. Wise investors have been buying farmland worldwide, betting on the increasing price of food, while hedging against breakdowns in worldwide trade. Governments and private investors alike are purchasing significant amounts of land in remote areas of the globe. Well-known investor George Soros recently raised $350 million for the purchase of Asian, Central Asian, and Eastern European farmland. 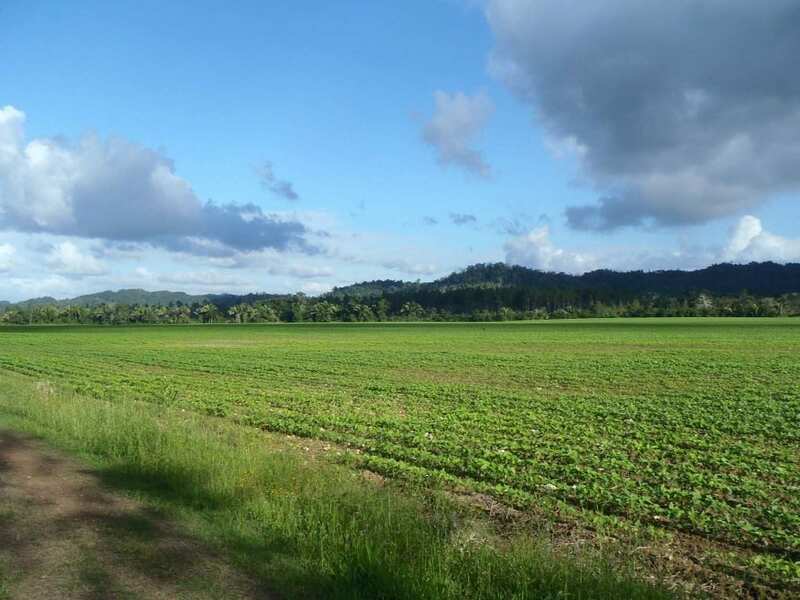 The World Bank’s agricultural experts point to reports that indicate large investors and foreign countries have recently purchased over 125 million acres of farmland worldwide, amounting to land area one-third larger than the entire country of Germany. We are now hosting similar investors from around the world visiting Belize. With long-term droughts in western Central America, some of our farms now have direct sales to trucks arriving from Guatemala & Nicaragua ~ loading up with corn and other row-crops ~ right at their farm. Belize has recently doubled its corn and grain processing capacity with new, state-of-technology processing facilities located on a major highway. 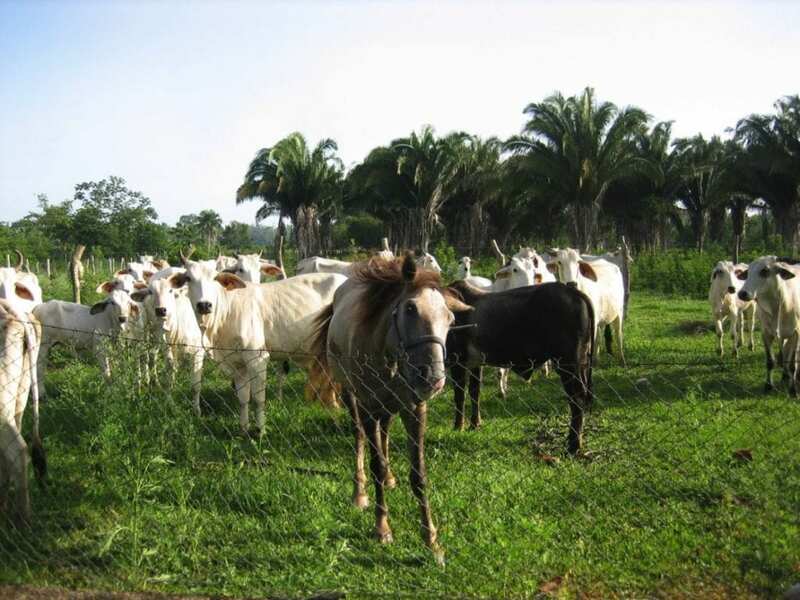 In Belize, there is an abundance of very fertile and accessible farmland. Belize citrus is the sweetest in the world, regularly demanding the highest per-box pricing. Here it is possible to yield at least 2 harvests per year. Being on the Caribbean coast, with an ideal subtropical growing climate, ample rainfall, a stable government, reliable shipping infrastructure and paved highways, Belize offers excellent agricultural opportunities. InTheTropics is listing thousands of hectares of vital farmland – ranging from small, remote, self-sufficient farms utilizing ancient Mayan crops & organic farming techniques; to large, profitable farming operations in the mountain highlands; working citrus & fruit plantation; thousands of acres of productive corn, beans, peas and row crops; vast tree farms, and acres of rice production land – including laser-leveled berms, dams, dikes and freshwater creeks for irrigation, some with shrimp farms on site. 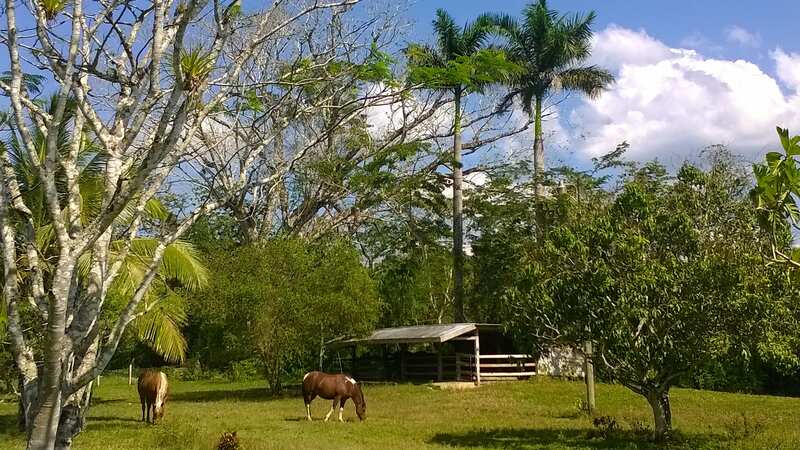 Where else will you find productive farmland adjacent to the most beautiful, high-sand, Caribbean beaches imaginable? Noted for the sweet grapefruit that Europeans prefer, high-grade cacao, bananas, sugar cane, ‘Caribbean Gold’ mangos, and numerous vegetables & fruits, Belize has sophisticated farming, packaging & shipping operations, permitting crops to be picked in the morning, then inspected, packed, cartoned and loaded onto ships bound for Europe, America and CARICOM markets by evening. Skilled and efficient agricultural management companies have been helping our clients profit yearly, with minimal effort on our clients’ parts. Farming and food production has long been Belize’s main profit areas. In fact, agricultural has recently topped tourism as this British Commonwealth country’s largest money-making industry. Experts worldwide – from the World Bank to Purdue University; the WorldWatch Institute to the UN’s Food & Agricultural Association (UN-FAO) – are telling us now about the current need and coming demand for crops. “An extra billion tonnes of cereals are needed”, says the UN-FAO.” “Increases in food production, per hectare of land, have not kept pace with increases in population, and the planet has virtually no more arable land or fresh water to spare. As a result, per-capita cropland has fallen by more than half since 1960, and per-capita production of grains, the basic food, has been falling worldwide for 20 years,” says WorldWatch Institute. 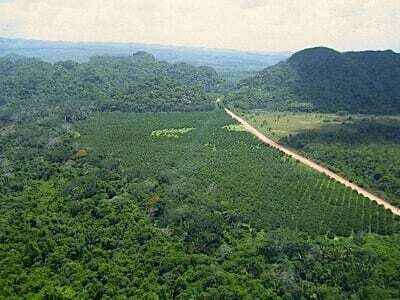 . . Well, Belize does have plenty of arable farmland, as well as plenty of ground water and ample yearly rainfall. The past several years has been very good for agriculture in Belize. Our exports are strong. The western half of Mexico & Central America have the same serious drought that effects the western USA, while weather patterns here in Belize are slightly wetter throughout the year. This yields at least two strong growing/ harvest seasons. Commodities buyers from Mexico, Guatemala, El Salvador, & Nicaragua come here with trucks and buy corn/ beans/ peas/ citrus right from the farmers’ gates. The processing plants are doing well also. Some “Florida” orange juice comes from Belize. 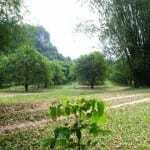 . . Cacao, citrus, fruit, vegetables, rice, corn, beans, coconut, bananas, flowers, hardwood, aquaculture, and all varieties of tropical produce. We will be pleased to show you numerous possibilities. Let us know your travel plans. Belize cacao is the finest cacao in the world, from Mayan strains started a thousand years ago. While much is grown in the southern mountains and harvested by independent campesinos, more and more smaller cacao farms are being established all over Belize. Belize’s “fair trade” efforts have done well by these small-scale pickers, and they now have a regular market and consistent pricing, with market conditions benefiting all cacao growers. Some large English chocolate companies buy cacao here for export, while the best is brewed right here, in Punta Gorda, Belize. You should come and visit this chocolate “factory” with me one day soon. (it is not much bigger than a 3-car garage).